In the summer of 1944, twelve-year-old Hannah Bar Yesha was deported together with her extended family from Hungary to Auschwitz-Birkenau. During the selection process, most of her family members were sent to the gas chambers. Hannah was incarcerated in Birkenau as a prisoner, together with her mother and aunts. This touching film depicts Hannah's life story - from her youth in Ungvár to her immigration to Israel. This film is part of the "Witnesses and Education" project, a joint production of the International School for Holocaust Studies and the Multimedia Center of the Hebrew University of Jerusalem. 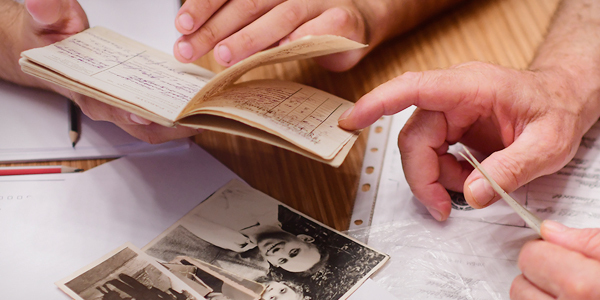 In this series, survivors recount their life stores - before, during and after the Holocaust. Each title is filmed on location, where the events originally transpired. With the generous support of the Adelson Family Foundation.